Need 10 Rooms Or More? ​0.5 mi. 10 Mins Walk to the renowned sidewalk "stars"
When you book here: Get our best rate guaranteed. Free Welcome drink when you arrive, Free Wifi. Warner Bros. was born from a gamble. A gamble four ambitious brothers made with the world that audiences would gravitate to the ‘talkies’— motion pictures that synced speech with sound. On Warner Bros. 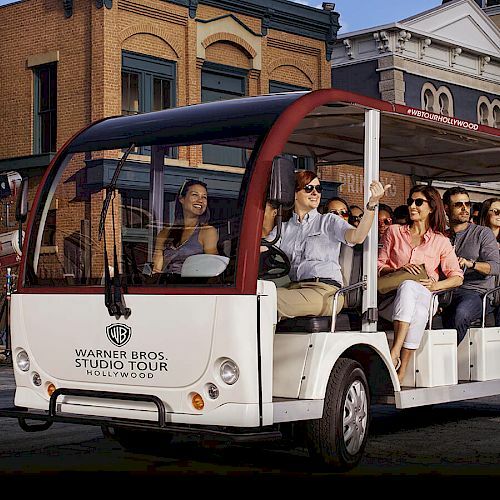 Studio Tour Hollywood, guests will journey up close and personal to the sets and soundstages where that pioneering spirit lives on. From Casablanca to The Music Man, Friends to ER, Ellen to Conan—guests will see what happens behind the camera of a working entertainment studio.